ARCADE & ATTICA RAILROAD CORP.
RADIO FREQUENCIES: nothing licensed currently... crews use hand signals. 161.355, 160.365, 451.850 (Reisdorf's repeater?) - have been reported in the past... but unconfirmed. Monday, Wednesday and Friday at 7:00 am to the NS interchange at Arcade Junction and then up to Reisdorf. Passenger excursions take place on Friday, Saturday and Sunday from May to October - including Wednesdays in July and August. Check the railroad's website at http://www.anarr.com for more information. LOCOMOTIVE ROSTER: Enginehouse located in Arcade - also listed on the National Registry of Historic Places. The principal business of the ARA is handling agricultural products (soy beans, corn and fertilizer), lumber, dairy feed, and other commodities between Arcade and North Java. They continue to use their 65 tonner as primary freight power, and sometimes will double-head it with the 44 tonner if they need to move more than 4 cars at once. Days of freight operation remain Mon/Wed/Fri, on duty at the Arcade NY shop at 7:00 a.m. From there, they will run up to the Norfolk Southern interchange, and then out to serve the handfull of customers left on the line. Reisdorf Brother's Feed Mill in North Java accounts for the bulk of freight traffic on the ARA. Track speed is 15 mph. The ARA also runs their ever popular steam excursion passenger trains from May to October, Friday, Saturday and Sunday. Passengers get to enjoy a 14 mile ride from Arcade to Curriers and back on restored 1920's era passenger cars, and an open gondola, pulled by a vintage steam locomotive #18 built in 1920 by Alco. 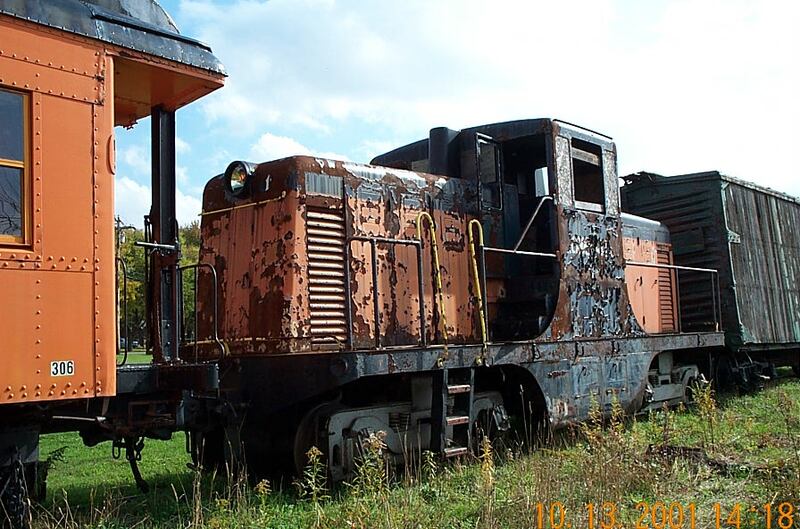 #14 built by Baldwin in 1917, out of service since 1988, is now being restored. One of the A&A's operating deisels act as back-up units in case #18 is not operating. Tickets are $10 for adults. Snacks and souveniers can be bought on the train and in the Arcade station. There is also a mini-museum located within the Arcade station with a local non-profit organization to supply hot dogs and hamburgers. The length of track from North Java to Attica was abandoned in 1957. Click here for an article on the ARA in the July, 1996 Railfan and Railroad magazine. 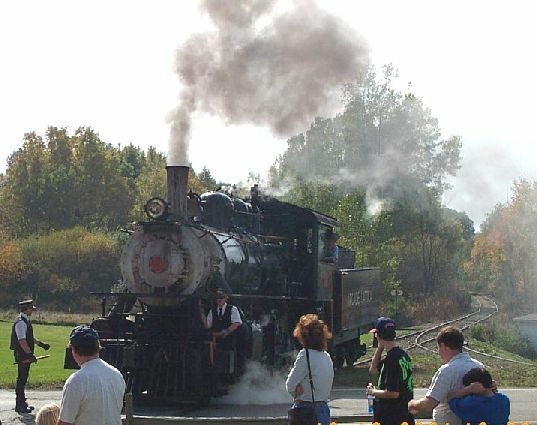 This article is chock full of railfan information on the only shortline in Western New York to offer steam passenger excursions! Plenty of pictures and an excellent map of the ARA! 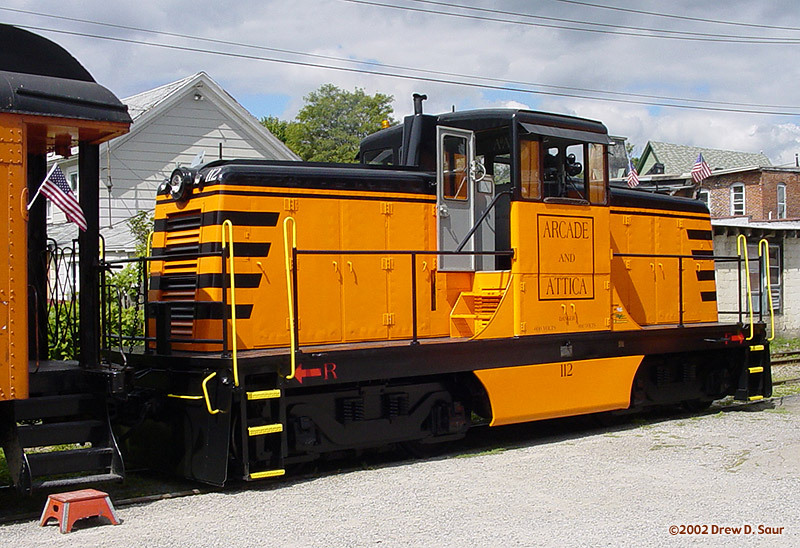 HISTORY: The Tonawanda Valley Railroad was incorporated on April 5, 1880, and opened a 3-foot guage line from Attica to Curriers on September 11, 1880. The Tonawanda Valley Extension Railroad extended it to Arcade during 1881. 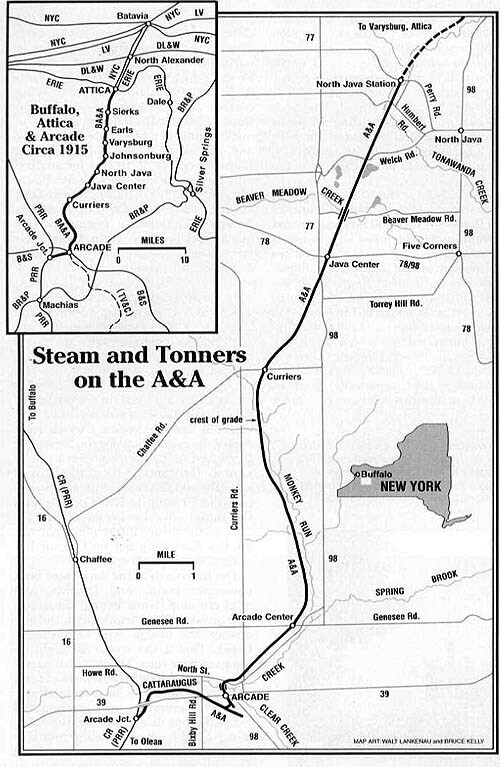 The roads were consolidated to form the Tonawanda Valley & Cuba Railroad, which extended the line to Cuba. In January 1892 operations were cut back from Cuba to Freedom, and the company was reorganized as the Attica & Freedom Railroad. It was again reoganized as the Buffalo, Attica & Arcade Railroad on October 13, 1894. During 1895 the raod was relaid to standard guage. The Arcade & Attica was incorporated May 24, 1917, to purchase and operate the property. Regular passenger service was discontinued in 1951, and the company abandoned 17 miles between Attica and North Java in 1957. Excursion service started in 1962.